In Malta, air quality is slightly worse than the EU average. 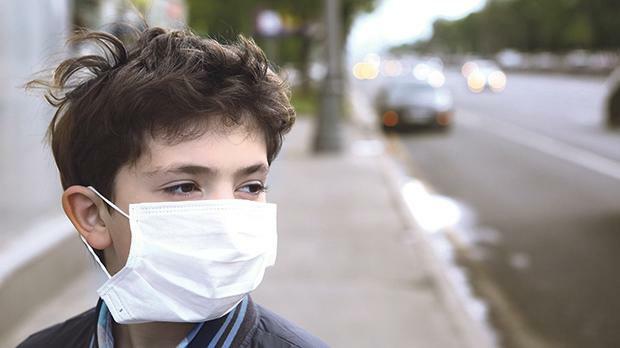 New studies show that poor air quality is upping respiratory complaints and shortening lives. How do we tackle the air pollution challenge, asks Jo Caruana. Air is an element that we take for granted – it is invisible to the eyes and breathing it is a natural, unconscious activity. Yet giving it importance is imperative, especially when its quality has an impact on our health. This week, a major global study, State of Global Air 2019, found that the life expectancy of children born today will be shortened by an average of 20 months because they are breathing increasingly toxic air. The study published on Wednesday found that globally, air pollution contributed to nearly one in every 10 deaths in 2017 – making it more deadly than both malaria and road fatalities, and comparable to smoking. In Europe, the significant effects of air pollution on human health and the ecosystem are highlighted in the Air Quality in Europe report by the European Environment Agency, the latest of which shows how Europe’s most serious pollutants, in terms of human health, are particulate matter (PM), ground-level ozone and nitrogen dioxide (NO2). Research published by the European Heart Journal indicates that dirty air kills some 800,000 people a year in Europe and that each life is cut short by an average of more than two years. The research also shows that the health damage caused by air pollution in Europe is higher than the global average – indeed, Europe’s combination of dense population and poor air results are among the highest in the world. The same study shows that in Malta, our air quality is slightly worse than the EU average, with estimates of 250 related deaths in 2014 and 270 in 2017 – up from 220 in 2012. Malta experiences 137 early deaths per 100,000 people, when the EU average stands at 129 per 100,000. The corresponding figures were 98 in the UK and 154 in Germany, while some eastern European countries had more than 200 deaths per 100,000. Most deaths were caused by heart disease, followed by respiratory tract illnesses, pulmonary disease, lung cancer and others. Asked about how that data compares to numbers from other parts of Europe, Mark Scerri, Senior Environment Protection Officer at the Environment and Resources Authority said: “This sort of comparison is not very sound scientifically, because the levels of air pollutants depend not only on anthropogenic factors, which can be controlled, but also on natural factors – such as geography and climate – which cannot possibly be controlled. “Malta has no problem with most of the regulated pollutants and tends to fare quite well when compared to the EU28,” he added. “We normally fare less well when it comes to urban levels of PM₁₀ or particulate matter with sizes less than 10 microns or less (roughly one-sixth the average cross section of a human hair) and ozone in rural areas. Ozone is not a pollutant that is directly emitted by any anthropogenic process but is the result of atmospheric chemical reactions involving sunlight and precursor substances, which can be emitted by anthropogenic processes. The causes for pollution are known. Data published by the European Environment Agency shows that in Europe, one of the main sources for air quality degradation is road transport, as well as agricultural emission, energy production, industry and households. European Environment Agency data shows that locally, car emissions are the biggest source of pollution, although cruise ships in Grand Harbour and other ships bunkering off Malta were also deemed to be major contributors. Last year, The Sunday Times of Malta reported how ships sailing or bunkering just off Malta generated more toxic emissions than the equivalent of 30 Marsa power stations. The Trends and Projections in Europe report, also published by the European Environment Agency, shows that Malta has failed to reach its emission reduction target “every year since 2013”. This, as the Times of Malta reported last November, means that Malta will again have to dig into its pockets to make good for not reaching EU-wide emission targets. Speaking to The Sunday Times of Malta about the effects of these high air pollution levels on our respiratory health, specialist in General (Internal) Medicine and Respiratory Medicine Caroline Gouder said there is no doubt that more patients are suffering chronic lung diseases and lung cancer locally. “Allergic conditions, including asthma and allergic rhinitis (hay fever) are also on the increase, both locally and worldwide, and in both children and adults, and this has also been linked to poor air quality,” Dr Gouder said. “The current trends indicate that the situation is likely to get worse,” she added. Asked about what should be done to tackle this, Dr Gouder said that reducing emissions from cars, industry and heavy vehicles should be the priority. Looking outwards across the EU, fine particle matter is said to be responsible for 391,000 premature deaths every year – although wider assessment indicated that deaths of this kind have been halved since 1990 thanks to the promotion of European air quality policies. These policies have heralded a move towards cleaner energy, cleaner cars, and cleaner industries. Outside the EU, China has made some of the strongest progress, with air pollution levels starting to fall in recent years. At European level, the EU has developed an extensive body of legislation which establishes standards and objectives for pollutants in air. This legislation includes the December 2016 Directive 2284 on the reduction of national emissions of certain atmospheric pollutants. Its Annex II specifies the national targets that have to be reached by the individual member states. The EU’s air quality directives (2008/50/EC Directive on Ambient Air Quality and Cleaner Air for Europe and 2004/107/EC Directive on heavy metals and polycyclic aromatic hydrocarbons in ambient air) set pollutant concentrations thresholds that shall not be exceeded in a given period of time. In case of exceedances, authorities must develop and implement air quality management plans. These plans should aim to bring concentrations of air pollutants to levels below the limit and target values. Internationally, EU member states and UNECE member countries adopted the Convention on Long-Range Transboundary Air Pollution in 1979 – which celebrates its 40th anniversary this year. Meanwhile, as part of the UN Sustainable Development Goals, the European Commission is working to substantially reduce the number of deaths and illnesses from hazardous chemicals and air, water and soil pollution and contamination, and substantially reducing the number of deaths and illnesses from hazardous chemicals and air, water and soil pollution and contamination – all by 2030. By 2020, there is a drive to achieve the environmentally sound management of chemicals and all wastes throughout their life cycle, thus significantly reducing their release to air, water and soil and therefore minimising their adverse impacts on human health and the environment. There are also specific resolutions – including a European Parliament March 13 resolution, ‘A Europe that protects: Clean air for all’, and a European Parliament March 28 resolution calling for tougher measures to reduce diesel car emissions in the EU in order to improve air quality, particularly in cities. This resolution was a reaction to the so-called ‘dieselgate’, during which it was found that diesel-powered cars by VW pollute the environment much more than is allowed. Last year, the European Parliament also said EU policies should be closely aligned with the long-term goals included in the Paris Agreement, a landmark agreement reached at COP 21 in Paris, on December 12, 2015. Locally, a number of shifts are taking place in a drive towards reducing emissions. In 2017, Prime Minister Joseph Muscat announced the launch of consultation on setting a cut-off date beyond which all new car purchases would have to be of electric or similar vehicles. Speaking to the Times of Malta last January, Environment Minister José Herrera said that the e-Car committee, has been assigned the task of drafting the consultation document on the cut-off date for the implementation of all internal combustion engine (ICE) imports in Malta; conducting close consultations with policymakers and relevant stakeholders; and submitting recommendations to the minister for Cabinet approval. To this end a study has been commissioned to assist the committee in such an assessment through which informed decisions on a national level may be taken. Work to date has involved the analysis of statistical information, together with national and EU-wide studies, where the natural progression towards having a larger fleet consisting of no ICE vehicles has been determined. The next steps will involve the utilisation of such baseline data to arrive, as committed, at cut-off dates for the importation of conventionally fuelled vehicles. ERA is currently working on its National Air Pollution Control Programme, which includes measures to help reduce emissions to the air. On March 27, the European Parliament voted for laws to reduce CO₂ emissions from cars and vans. The European Parliament has played a decisive role in the formulation of a progressive environmental policy to combat air and noise pollution. For instance, MEPs voted to drastically lower the harmful sulphur content of marine fuels from 3.5 per cent to 0.5 per cent by 2020. MEPs successfully fought attempts to postpone this deadline by five years. At the instigation of Parliament, the Commission has been forced to consider extending the stricter SECA limits to all EU territorial waters. As regards the revision of the NEC Directive, Parliament called for more ambitious national ceilings to be met by 2030 and argued for binding targets for 2025 to ensure that member states were on track to meet their 2030 targets. 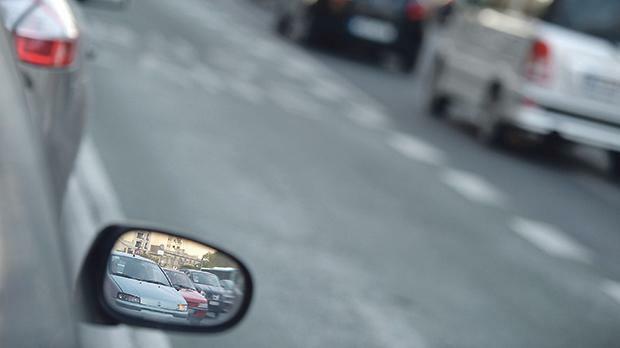 On a more general basis, MEPs urged the EU to identify and respond to source control legislation that is failing to work, as in the case of the discrepancy shown between real world emissions and NOx test emissions from Euro 6 diesel cars. On March 27, Parliament also approved new CO2 emissions for cars and vans. MEPs and EU ministers have agreed on a higher target (37.5 per cent) to reduce EU fleet-wide emissions for new cars by 2030. The legislation also sets a CO2 reduction target for new vans (31 per cent) by 2030. The legislation was adopted with 521 votes to 63 and 34 abstentions. It now requires a final adoption by Council before publication in the Official Journal. A service brought to you by the European Parliament Office in Malta.